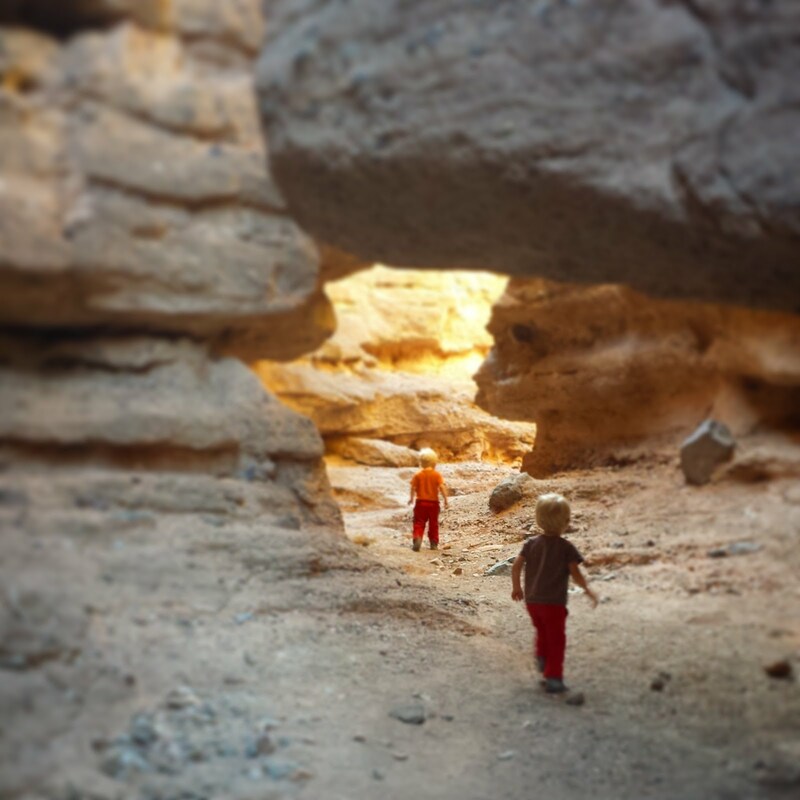 Encouraging family travel & outdoor adventures in Utah and across the western United States. 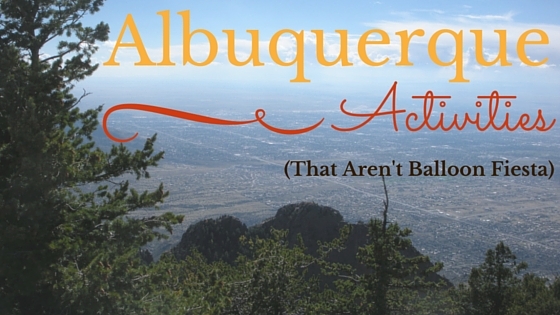 Alright, it's time to spend a little blog space talking about Moab! The Moab tourism board has done a superb job of making their town seem like "the" place for cool people to be. We all want to be cool, right? I have to tell you, it's worked on me! Unfortunately, my anticipation and my reality never quite come together on the total excitement and enjoyment spectrum...until now! One of the absolute most discouraging parts about going to Moab is finding available lodging. If you're a planner and like to make reservations months in advance, maybe this isn't such a hard task and you'd like to write something up for me. My experiences, however, have been a little different, where the dozens of hotels are always full or ridiculously high-priced by the time we get down there, and so many of the campsites are on a first-come, first-served basis. Trust me, even with the plethora of camping available in the Moab area, first-come, first-served is usually not really an option if you don't live down a secret grown-over footpath from the campground. 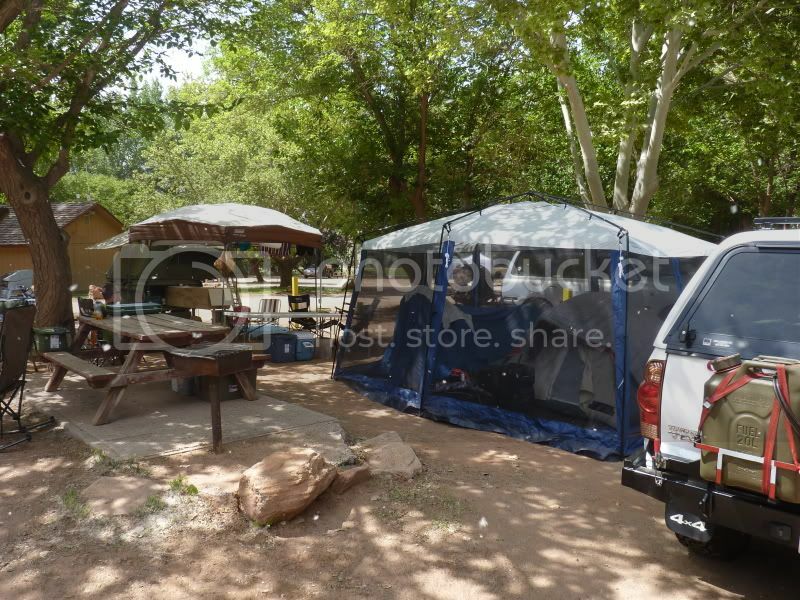 There are an endless number of camping facilities in the Moab area ranging all luxury levels. Nearly free sites with absolutely no facilities to complete resort accommodations. My two new favorites, Slickrock Campground and Moab Valley RV Resort, fall somewhere in between. At this stage in life. my family and I are tent campers and the tent sites at these two campgrounds are in stark contrast to each other. Staying first at Moab Valley RV Resort, our two tents were pitched in a well-marked-off area, but on hard dirt with barely a wisp of shade in sight. We were lucky to be on the farthest row, but the road noise was still always in the background. There are covered tent sites available, but I have a hard time seeing how you'd fit two tents underneath the awning and neither type of spot allows for any stretching out. 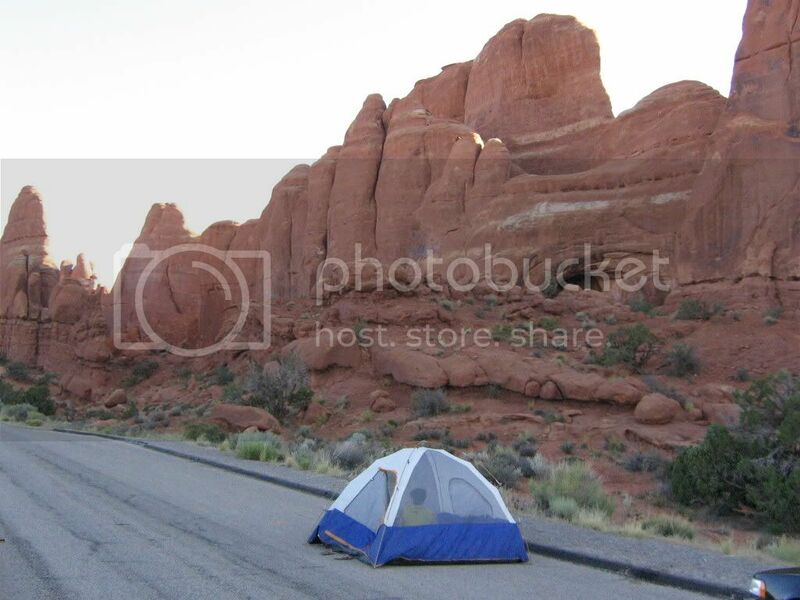 At Slickrock Campground, on the other hand, shade and space are at a premium. Especially shade. There are full-grown cottonwood trees leafing out all over the place. The day we checked in the desk clerk gave us a map of available sites and let us drive around looking for the one we wanted. 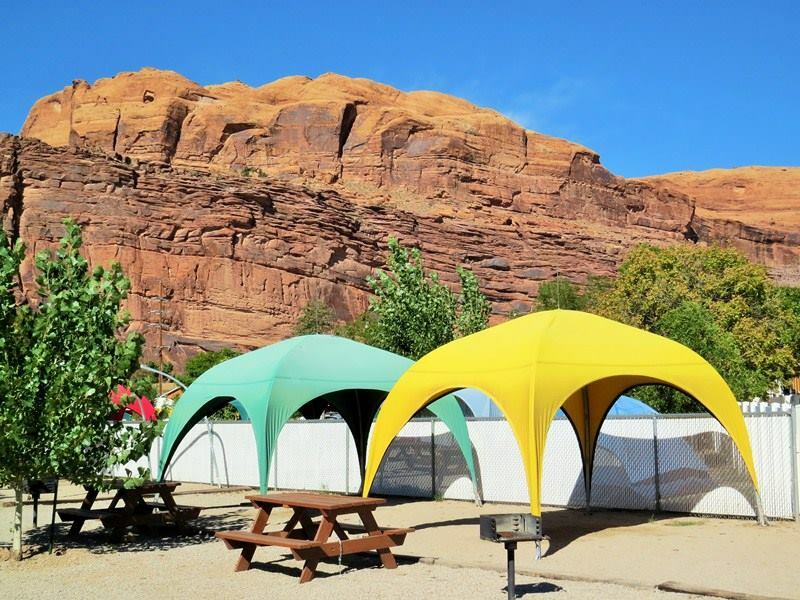 There are definitely sites with less shade and space, but even these are a breath of fresh air over the sun beating down on you at Moab Valley RV. We were in space #120 with ample room for two tents and the kids to do a little running around. It's directly across from the restrooms and off the main traffic path. I'd definitely recommend trying to get something back in that area. Moab Valley RV Resort wins this category. They have a decent sized rectangular heated swimming pool and a gigantic hot tub attached on one end. It's easy for parents and kids to enjoy both together without having to worry about running and slipping on the concrete or being too far away to safely see each other. The deck area is as big as it needs to be with plenty of deck chairs, as well. Slickrock Campground does also offer a pool and hot tub, but both are smaller and dirtier. The weekend we were there, the pool had more tumbleweeds floating in it than people. Also, at Slickrock, the hot tub patrons seemed much rowdier than at Moab Valley irregardless of the time of day. This may be in part to the easy access to the cold beer cooler located only steps away in the office store. In addition to the pool, both campgrounds have other areas to keep families busy. Slickrock has a pretty cool mounted motorcycle for kids to sit on outside the office, and a not so cool playground with an old school climbing dome and not much else. Unlike the campsites at Slickrock, the playground is not in the shade. 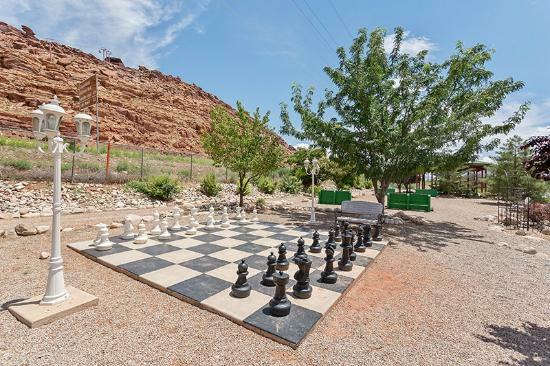 Moab Valley has created a fun game area with life size chess and checkers in a quaint garden setting. Just come prepared-the bugs can be REALLY annoying while you're playing. In full disclosure, I can't remember the bathrooms at Moab Valley RV, other than having to walk a little ways to get there. Not having terrible memories imprinted on my brain, I'm safely assuming they were clean and nice. The pictures on their website certainly make them appear so. I can say with certainty that the bathrooms at Slickrock Campground are clean and large and completely acceptable. The bathhouse next to our campsite had huge toilet stalls, and plenty of shower stalls with dressing areas. There was never a suspect odor wafting from the building into the campground, and it seemed like there were constantly staff members coming by to give it a once over. The morning cleaning lady even serenaded us (though she probably didn't know it) while we were getting ready in the morning. I'm sure both places have great people working for them and that both places have employees that have bad days. Based on my most recent experiences, though, I'm going to sing the praises of the employees at Slickrock Campground. Stopping first at Moab Valley RV Resort because I'd stayed there before and loved it, I was less than impressed with the desk clerk who made us wait forever without greeting us at all and then snippily told us we could only stay one night and then we would have to find somewhere else to go. The store and office at Moab Valley RV are more professional, but it doesn't make up for that kind of customer service. Overall, both Moab Valley RV Resort and Slickrock Campground are worth a try the next time you find yourself in Moab cursing at your travel companions and burning all your gas looking for a place to stay. Weigh out their ups and downs for yourself and let me know what you think! When you're in Moab, where do you like to stay? More Information: From Salt Lake/Utah Valley, take I-15 south to Exit #257 Spanish Fork/Price. Follow Hwy 6 to Green River and merge onto I-70 eastbound. Take Exit #182 Crescent Junction and follow Hwy 191 south until you enter Moab. This review was not solicited and I was not compensated. Just my honest opinions based on my own experiences. Thank you so much for your professional and effective help. Reading our experiences is only half the fun! Your stories, suggestions, and ideas will help me make this site better! I'm so glad you've stopped by A Local Wander! Using the state of Utah as a jumping off point, this is where I share family travels and outdoor adventures. My goal is to encourage families to get out exploring together, so please have fun looking around, and let me know where your next adventure is going to be! Mountain Letters: Hiking the "G"
© A Local Wander 2018. All Rights Reserved. Do not use without permission.